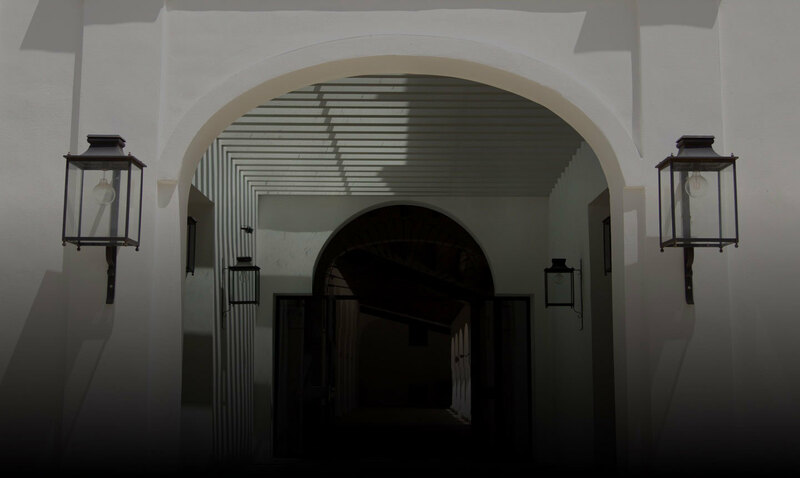 For the first time, Cinco Jotas opens its doors to it centuries-old bodegas (curing cellars). Every history has its origins. Come visit ours, and discover how the legend of the most exclusive ham in the world began. Join us and become a part of that legend. 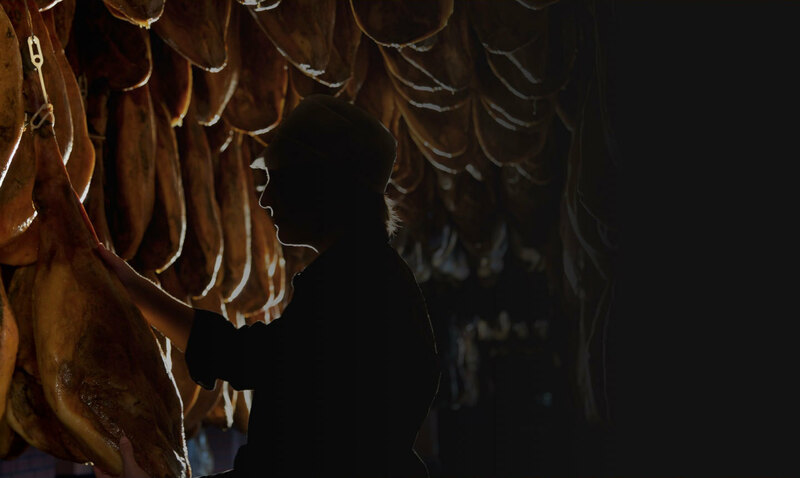 Take a stroll through our curing cellars where the curing process of Cinco Jotas ham has remained unchanged since 1879. Discover first hand the curing process that takes more than five years. 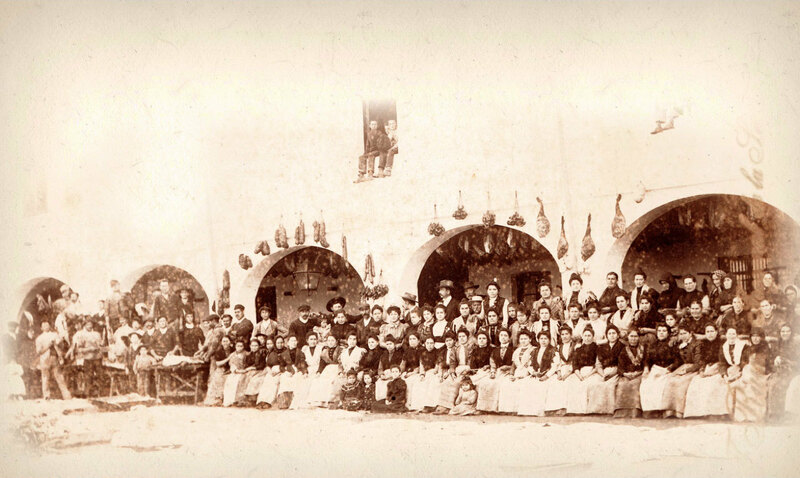 The know-how of Cinco Jotas craftsmen has been passed down generation after generation. Learn from the experts how each piece of acorn-fed 100% ibérico ham is pampered and treated in a decidedly unique way. Enjoy a very special tasting and savour this treasure of Spain’s heritage, carved by hand by one of our master carvers. 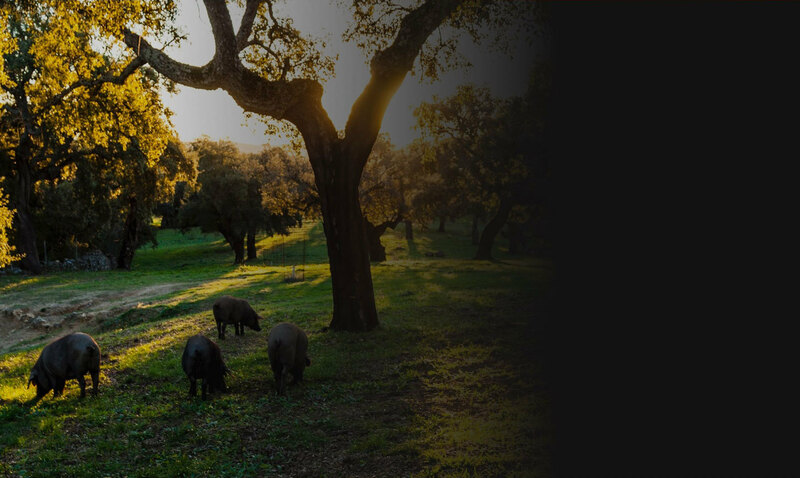 Discover the meadows of south-west Spain, where the Cinco Jotas 100% ibérico pigs roam free-range. Stroll through an incomparable natural ecosystem, on foot or by horseback. Get to know the meadows of south-west Spain where the 100% ibérico pigs feed and roam completely free range. Enjoy an aperitivo in the meadows, a tasting filled with Cinco Jotas products or freshly-carved ham slices from our master carver. 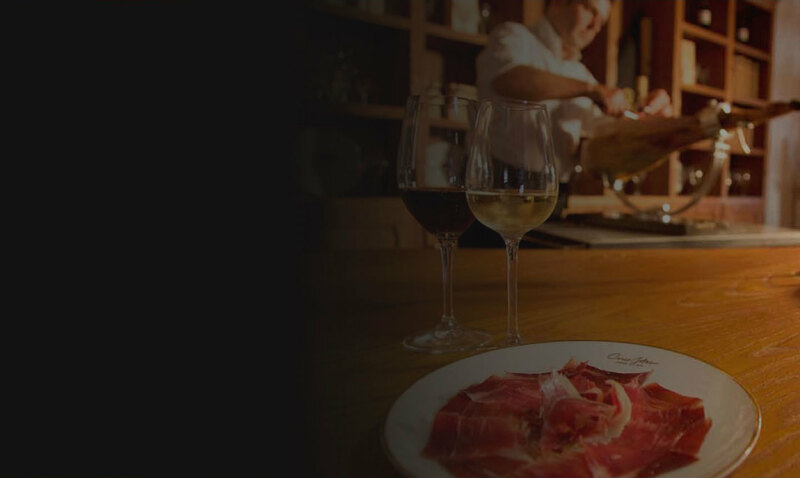 Your reservation includes a tour of the exposition area, a visit to the original curing caves, a ham carving demonstration and a tasting of acorn-fed 100% ibérico ham. ESTIMATED DURATION: 1H 15 MIN. We process personal data to manage and provide services to persons who ask to visit Bodega CINCO JOTAS, to send out our newsletter and commercial information, and to determine consumer preferences. Legal relationship, consent and legitimate interest. The data shall not be communicated other than to the OSBORNE Group companies to which the request refers,así como para dar soporte al servicio y en caso de ser necesario para el cumplimiento de obligaciones legalmente establecidas. You can find additional information on the processing of your personal data on the following link INFORMATION ON PERSONAL DATA PROTECTION RELATING TO REQUESTS TO VISIT BODEGA CINCO JOTAS.